Ribble Radiators is the online arm of Ribble Reclamation which was founded in 1980 as a small landscaping company and has grown into Lancashire’s biggest and best architectural salvage yard with a large and constantly changing stock of reclaimed materials and unique items. What started out as an interest in beautifully ornate cast iron radiators from years gone by, became an increasingly fervent passion which then developed into the business it is today. We believe this sets us apart from some competitor businesses that have appeared across the UK in recent years. We take pride in having full control of our reclaimed radiator process, using trusted salvage methods and taking each reclaimed radiator on a journey of restoration on our own four-acre site. 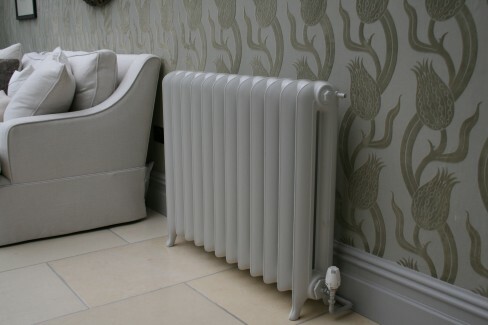 Alongside the restored radiators we also stock and supply the fantastic range of bespoke Carron radiators. Your radiator order will be made to your exact requirements and lead time will vary depending on your order. 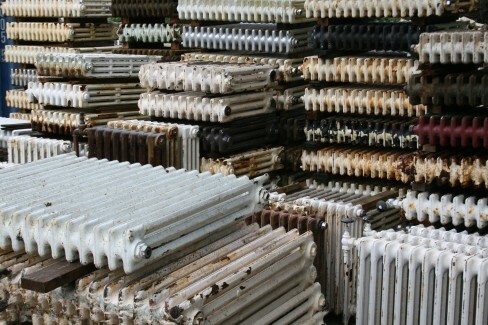 Whether you already have a radiator you would like restoring or are buying one from us the service is exactly the same. 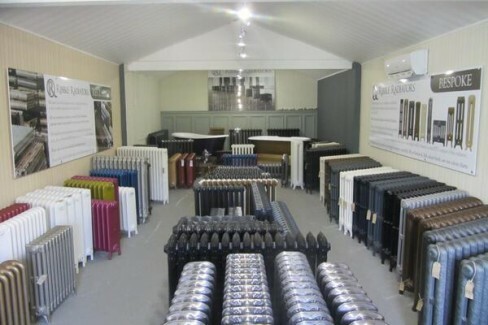 We also invite you to come and see our showroom to view for yourself the quality of our work in restoring radiators. Restoring a character radiator requires attention to detail, all our radiators go through the same process to make sure the final product is one you are more than happy with. Each radiator in order to restore it to its former glory will have its original valves and bushes removed. The radiator is then fully immersed into a chemical dipping tank for a period of time in order to remove all the existing paint and clean the inside of the radiator. The radiator is now ready to be re-bushed, this is done with new bushes in order to make the radiator compatible with modern pipework. After this point the radiator is now ready to be pressure tested, the radiator goes through a thorough pressure test to make sure there are no leaks or weaknesses. Getting closer to the end, the radiator is now finally ready to be primed and painted in a colour of your choice. The difference from start to finish is clear to see. The focal point of our four-acre site at Ribble Radiators is undoubtedly our stunning showroom that attracts customers from across the UK. It features a number of reclaimed and reproduction cast iron radiators in vintage and contemporary styles, ranging from simple designs to those with wonderfully ornate attention to detail, evoking patterns and finishes from the late 1800s – and you can see for yourself by visiting the showroom. If we don’t have somthing on display thats fits the bill we can refurbish any of the reclaimed radiators on site to your specification (within two weeks) or you can use own on-line bespoke radiator builder to create your own. We’ve invested heavily in high-tech plant equipment that enables us to strip clean all antiquated radiators, thoroughly put them to the test, and finish with the finest choice of paints in our on-site workshop. We have highly experienced staff, some of whom have been with us for over 20 years, who know the industry inside out and it’s this knowledge and setup that means we’re perfectly positioned to offer the best reclaimed and reproduced cast iron radiators in the UK marketplace.